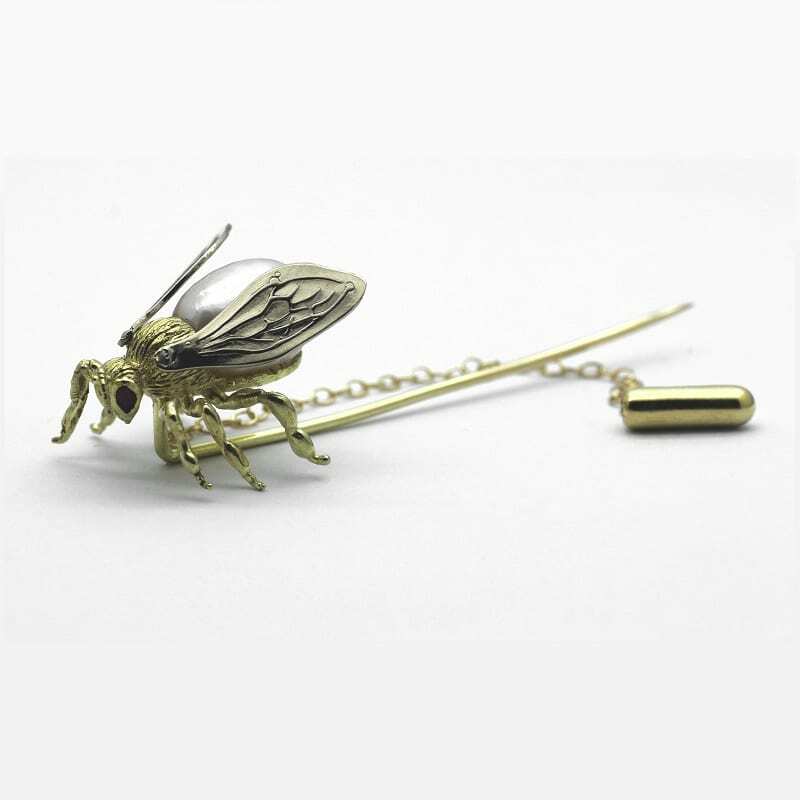 18ct yellow gold handcrafted bee stick pin with Maquis cut ruby eyes & a solid pearl body. 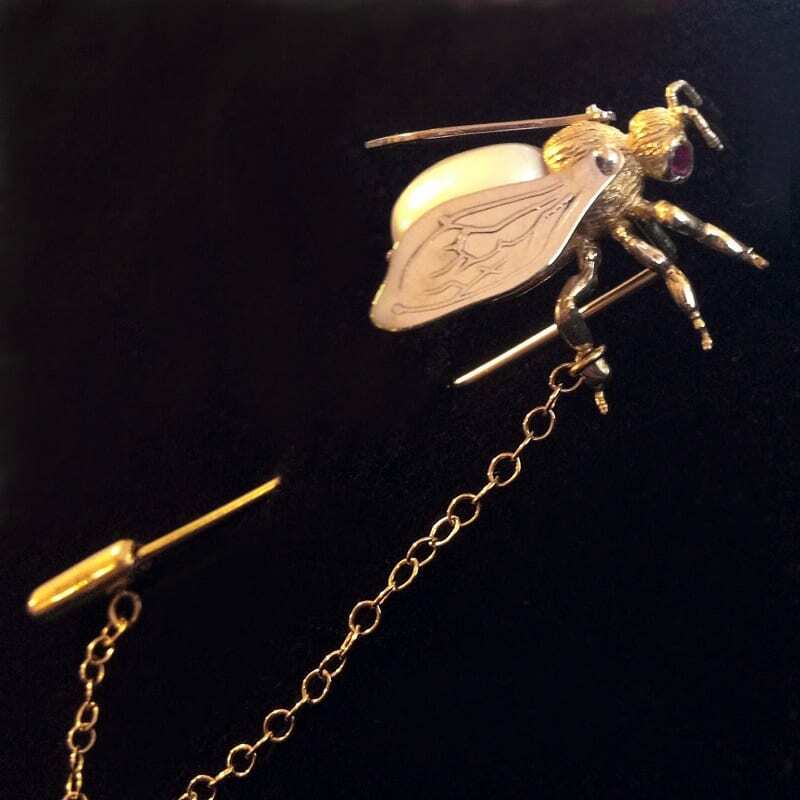 This glorious bespoke bee pin is hand crafted by Goldsmith Julian Stephens for a bespoke client who had seen an image of a similar design in a fashion magazine and wanted to create her own design on the image she had seen. 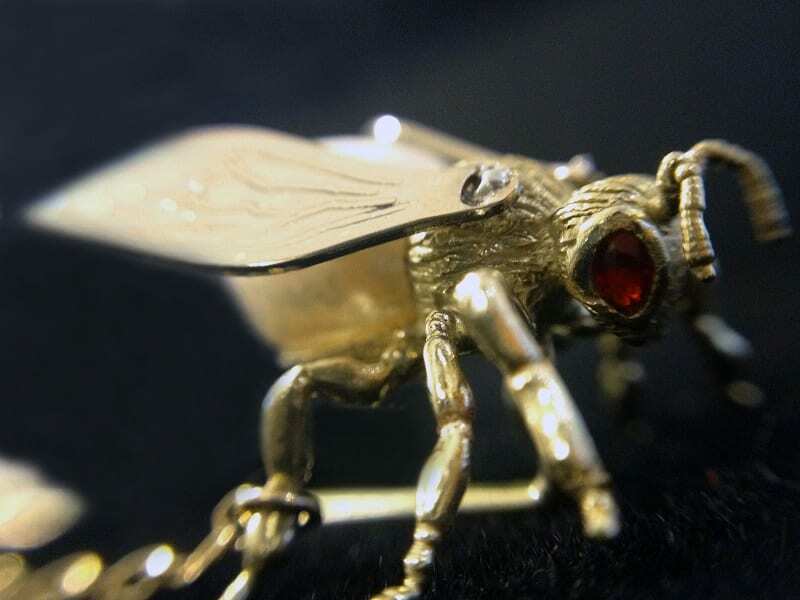 Julian took this brief and created a stunning end result, made from 18ct Yellow Gold and finished with a pair of beautiful Maquis cut Rubies expertly flush set in the eyes of this sweet little bee. 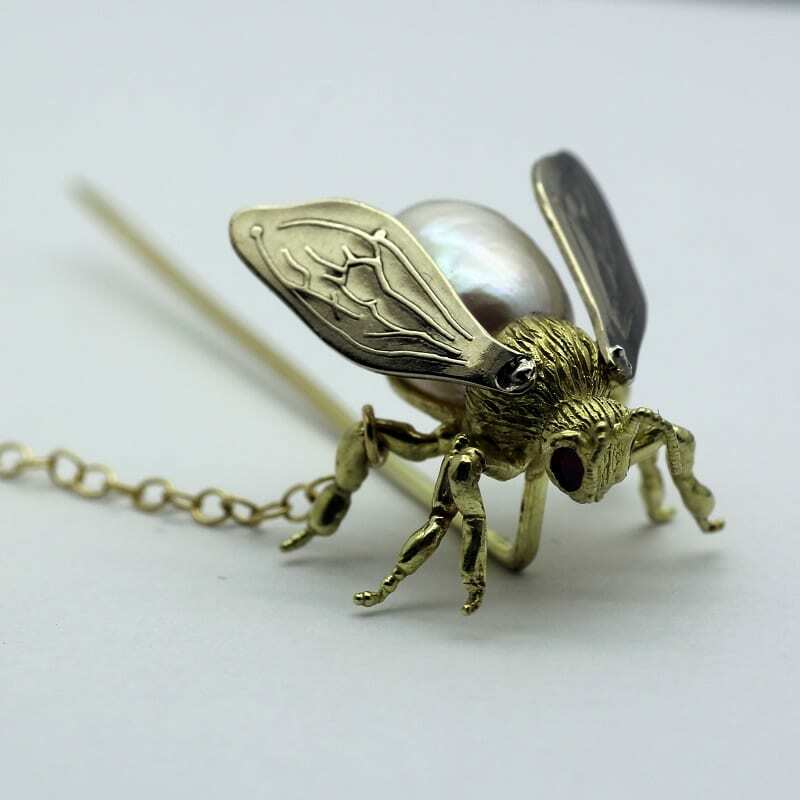 Adding a stunning pearl to form the body of the bee design and finishing with glorious detailing including hand engraved texture to complete the design. If you are seeking a master artisan Goldsmith to create a custom made exquisite piece of fine jewellery then please get in touch, we’d love to make your ideas a reality.